I'm looking for the Book that explains the essentials of user interface and user experience design. I read Beautiful Visualization and Designing Interfaces from O'Reilly. I think they are very good but, I'm still looking for the one. Please provide your recommendation and why it stands as the essential reference. Don't Make Me Think by Steve Krug. The book is written in the way it preaches: very simple and easy to understand. The book covers a wide range of user experience topics. It's a must-read. Don't forget the classic: Don Norman's The Design of Everyday Things. Even though it is explicitly NOT about either web pages or computer applications, but about everyday things, there is so much there about common sense thinking about how people actually interact with things that I class it as a must-read. Brilliant design book, especially useful for interface design. Currently reading About Face. Really thorough and goes back to the basics of UI design. Edit: Oops, just read you already read the first, but I leave it to be included if this turns into a full list of books. The Visual Display of Quantitative Information by Edward R Tufte is extremely useful for training your eyes to filter non-essential design elements and focus on the essence of the information. I'd be remiss not to mention Joel Spolsky's User Interface Design for Programmers. There's an online version but the printed book has about 50% more material. Don't Make Me Think by Steve Krug. The Non-Designer's Design Book: Design and Typographic Principles for the Visual Novice by Robin Williams. Also, while these aren't books, you may benefit from browsing some design pattern libraries. Each of these shows common patterns and explains when they are appropriate to use. If you're interested specifically in forms, I can recommend Web Form Design: Filling in the Blanks by Luke Wroblewski. Each of these books has taught me something new or given insight into how to do things better. Top half not recommended by above posts. Surprised that Krug's Rocket Surgery Made Easy has not been mentioned, given that Don't Make Me Think is so widely praised. RSME is just as good and useful in UI design. I'm really surprised that GUI Bloopers 2.0 hasn't been mentioned yet. Take a look at sitepoint's The Principles of Beautiful Web Design. Also there are articles from this book here. Smashing magazine published a book and it is a good one. take a look at it. Design patterns for user interfaces. A great reference. I highly recommend Designing Interactions by Bill Moggridge. It's an impressive (if overwhelming at first) collection of interviews, essays, examples and case studies by one of the pioneers of interaction / interface design. Designing the Obvious: A Common Sense Approach to Web Application Design by Robert Hoekman Jr. is an excellent read. From the back cover: Designing the Obvious belongs in the toolbox of every person charged with the design and development of Web-based software, from the CEO to the programming team. Designing the Obvious explores the character traits of great Web applications and uses them as guiding principles of application design so the end result of every project instills customer satisfaction and loyalty. These principles include building only whats necessary, getting users up to speed quickly, preventing and handling errors, and designing for the activity. Designing the Obvious does not offer a one-size-fits-all development process--in fact, it lets you use whatever process you like. Instead, it offers practical advice about how to achieve the qualities of great Web-based applications and consistently and successfully reproduce them. Information Dashboard Design: The Effective Visual Communication of Data by Stephen Few. You can extend the design principles beyond dashboards per se, as they are ultimately reports and an interface to information. Designing Web Interfaces is the most practical book on Interaction Design. Well this isn't just for UI design, however I would recommend Designing for the Digital Age by Kim Goodwin (Former VP of Design at Cooper). Alan Cooper describes it as the ultimate how-to book and I have to agree. It describes loads of methods and provides examples throughout. It goes through all the stages; research, modelling, requirements, framework, and design. I have used it throughout my second year at university. 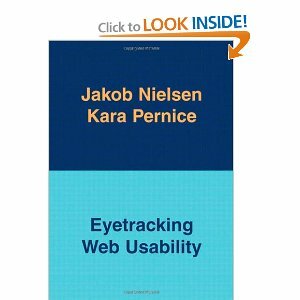 It was great to understand the fundamentals of a usability method in class and then go to this book and be assured that every single detail would be available. This book is huge! It is a great compliment to About Face 3 by Alan Cooper. The Laws of Simplicity has probably been the most important UX book in my career. Some companies/sites don't really deal with the level of data complexity to require this kind of resource, but if you do, it's essential. One I'm really surprised isn't here is Jesse James Garrett's, The Elements of User Experience. The Humane Interface Revolutionary, concise, and complete. The reason I do UX today. The Essential Persona Lifecycle is an awesome book, a trimmed down version of the original bible of personas The Persona Lifecycle. The Minimal Manual is not really a book, but the general style that came from the academic work of Carroll so fully revolutionized manuals back in the 80's it's now the de-facto standard. However, it's exposition of how people really use documentation is something everyone should know, it will save you from making all sorts of naive assumptions when it comes to how people learn to use software and documentation! Handbook of Usability Testing The foundational bible of UI testing. Read this White Paper: User Interface Analysis. Above all, after reading any books I would go out and do field research. Check out top sites that have a nice, fluent interface to them. Using information from the book, ask questions about usability. Do they make you think too much? Are they visually appealing as well as functional? Pick and choose the features you like to form your own standard based on what context you're designing in. There is no black and white answer to this as it's all interpretation. Tog on Interface should definitely be in your must read list. Not the answer you're looking for? Browse other questions tagged resources learning or ask your own question. What's your favorite book on UX? Which are the best UI related blogs/sites? Do I have the skills for UX? Recommended UI / UX / IxD Master Studies? What is the best way to spend a very limited budget on UX design? Can we apply UX principles to non-computer 'interfaces'? Where can I find problems to challenge my UI design skills? 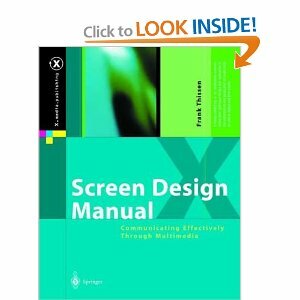 What's a good book to read on designing back-office/admin/CMS interfaces? Why the familiarity of a button can decrease as users experience grows? Is it our job to “slow down” user interaction to enhance learning?